Earlier this week before I got swamped down with being here in school, I posted a blog called What’s Your Hood Status? that tackled the issue of the fine line between being uppity and being elitist and how does one balance that without being elitist. I had a simple answer: Let me drive a Dodge Charger and I’ll be alright. Well, I saw myself going down a pigeon hole in the last blog when it came to black folk and material stuff compared to white folk and material stuff and I was conscious to not go down that road and I said let me save it for a part two post. So here it is. First, let it be said, the pathology behind black folk and our stuff clearly stems from the institution of slavery in this country. Slaves saw how much emphasis was placed on material possessions in this country and once the time was right (ie after the Civil War) and after whites placed the burden of assimilation onto the former slaves, these Negroes bought into the ideal of wanting and having stuff in a vain attempt of being accepted by their white countrymen. It didn’t work then and I’m not convinced it’s working now. As with any culture, they take what they know indigenously and the culture of the new world and often times synthesize the two and make a unique melange of the culture–often times celebrated by the New World. Not in black folks case. Lawwwwd Jaysus, we have been criticized at every turn for how we dress, what kind of music we listen to, how we talk* and how we interpret and understand religion. As I said in the earlier post, we have our stuff, but we put our own flare to it and truly make it ours. That’s why I said you rarely would see a white guy (you, do, but it is rare) with a two-tone colored Charger with matching rims. Secondly, I wonder where has this pathology brought us, or perhaps kept us as black people. Is our emphasis on stuff perhaps an overemphasis on stuff? 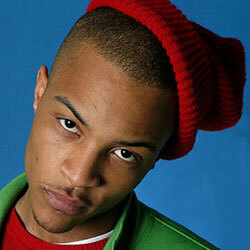 I’m quite sure that if you turn on the latest rap video, or better yet, just ask T.I. what the hell is the pathology behind “You can have whatever you like” and then perhaps we’ll see just how bad the state of things is. Personally, I like T.I. as a person, I’ve heard him on “Hip Hop Versus America Pt. I” and on numerous other interviews and was quite pleased at the words coming out of his mouth, but still….”you can have whatever you like”….if that’s not buying into materialism then I don’t know what is. I in turn question what is the good in having the Charger? Yes, I even pose it to myself. Will people really look at me differently because I have a Charger or am I hanging false hopes of recognition on a car which would only buy me temporary happiness. 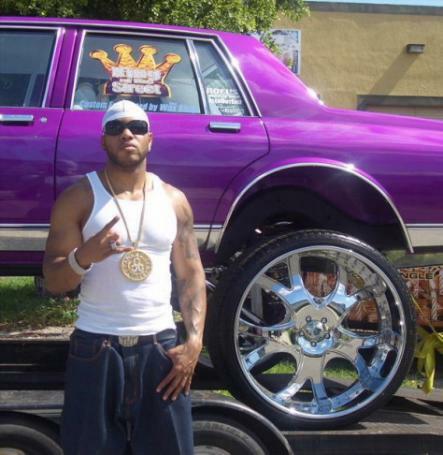 As I said, I was quite clear I wanted this car for ‘hood status; but at the end of the day, would I really have it? Would be one of the “boys” from the block because I drove one? Or would I merely be selling myself short in order to be recognised by people who really don’t give a damn one way or the other in the first place. I still want to be able to connect with people period, on whatever level that maybe. Honestly, if having a Charger means that, then by all means, I want a Charger. Do you think there’s a pathology behind black folks and materialism that’s vastly different than that of white people’s pathology? What is ‘hood status in your opinion? Is it worth obtaining? Or have I just rambled on so much in this article that I made absolutely NO SENSE AT ALL?!?!? Hi Uppity. The US hasn’t been a productive society for decades. The values of production was replaced with consumption of goods made by other countries, and we all lived happily in a bubble of buy buy buy while other nations made our stuff and we made cheese burgers. It got so bad that ‘citizens’ were replaced with ‘consumers’. What a downgrade. Lawwwd, who knows. I’m mildly scared. I have no hood status, and it would be lying for me to try to obtain any, as I’m not from the hood… (or the back 40). Interesting comments on ‘hood’ status–card carrying (GED, BS, MS, PhD?) ghetto hood with a hoodie? The ultimate pardox? Mutually exclusive (think Venn diagram)? Or what? Uppity cerebral exercises to ya!